"Checking for water damage is pretty simple and something everyone should do before forking over your hard earned cash for a second-hand iPhone 4." If you're trying to save some money and are in the market to purchase a used iPhone 4 from either Craigslist, eBay, or some other local or online seller, one of the first things you'll want to do is check for any signs of water damage. I see several people in my office each week that purchased used iPhones that mysteriously quit working after a few days. As much as we'd like to believe there aren't people out there who would sell us broken or water damaged devices, it happens every day. While online-only iPhone purchases are convenient, I highly recommend meeting up with someone locally, for example, someone off of Craiglist, before turning to eBay or any other online broker. This allows you inspect the iPhone device before you actually commit to purchasing it, and gives you a chance test it out and check for water damage yourself. If you can't meet someone locally and need to buy online, request that the seller inspect for water damage and send you images that allow you to see that the water sensors are still intact and that the internals have not suffered any damage or corrosion. Apple has placed 4 sensors inside the iPhone 4 that make it pretty easy to tell if any part of the device has come in contact with liquid. These sensors are placed exactly the same in the GSM iPhone 4 and CDMA iPhone 4. You want to make sure the sensors are white as opposed to red. If you see a sensor that has turned red, that's a sign it's come into contact with liquid or heavy humidity. 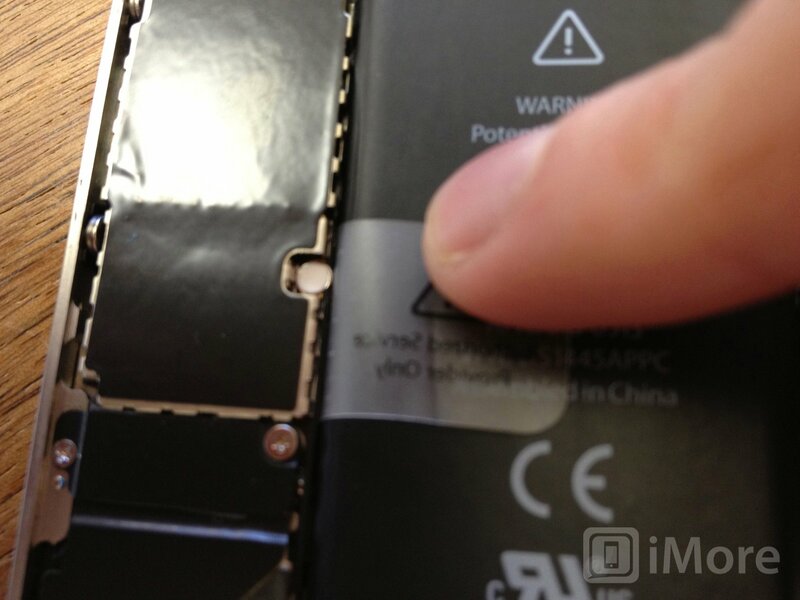 The easiest thing to check are the two sensors you can see without removing the back of the iPhone 4. I recommend bringing a small pocket or keychain flashlight with you in order to get a good look at the sensors. As a side note, this sensor can come out or become dislodged occasionally. If you don't see one, just move on and check the next sensor. I wouldn't take it as a sign that the seller is trying to be dishonest (yet). The next sensor is a square sensor in the dock connector. To see it, hold the phone screen down in your hand and look inside the dock connector towards the middle. 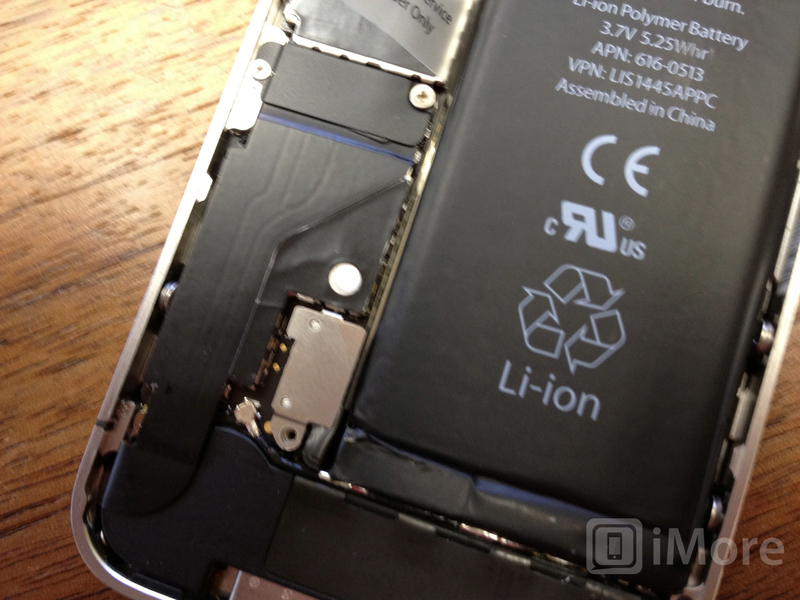 On the upper side you will see a tiny white square (or red square if the device has come into contact with liquid). Make sure this one is white. If both sensors are white, it may not be necessary to proceed any further. The device most likely has never been subjected to water damage. If the headphone jack sensor was missing or you couldn't find one of the sensors, you may want to continue to the next section. It may seem silly to bring a screwdriver with you to check out an iPhone but it'll seem a lot less silly when it saves the lost money and headache you'd get for buying a water damaged iPhone 4. 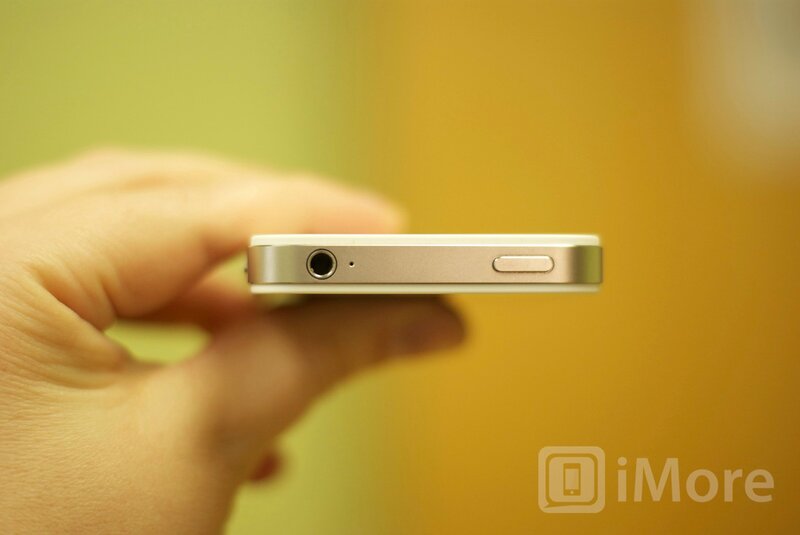 There are two sensors on the inside of the iPhone 4 that are easily visible once the back is removed. You can pick up a security screw driver online and a #00 Phillips screwdriver from your local hardware store for a few bucks. You'll need one of the two in order to remove the back. If you're buying a CDMA iPhone 4 off of someone, you'll most certainly need the security screwdriver. Older GSM models still have standard #00 screws while newer ones have security screws. Remove the 2 screws holding the back plate on and gently push the back up and pull it off. This will give you a clear view of the last 2 sensors and a lot of the internals of the device. If all those seem good, you'll just need to make sure the water sensors check out okay. The first sensor is placed directly over the clip that holds the battery down. Again, just make sure it's white and move on the to next and final sensor. If it isn't white but all the rest are, I'd probably still advise against buying the device as the battery or other internal parts could have come into contact with liquid at some point. The final sensor is located on a screw holding the logic board in place. If this sensor is white, you're in the clear. If it's not, you'll definitely want to stay away from purchasing the device. This sensor is the closest one to the logic board. If it's red, odds are the logic board has liquid damage and will eventually go out. 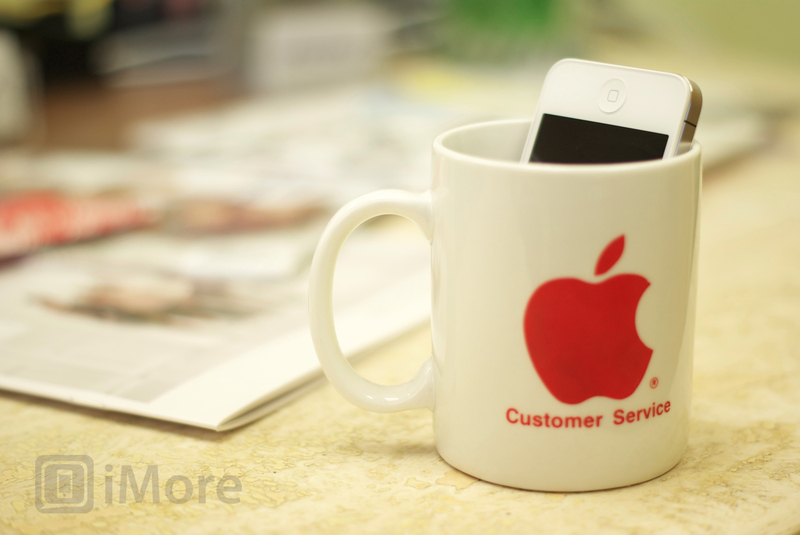 Checking for water damage is pretty simple and something everyone should do before forking over your hard earned cash for a second-hand iPhone 4. 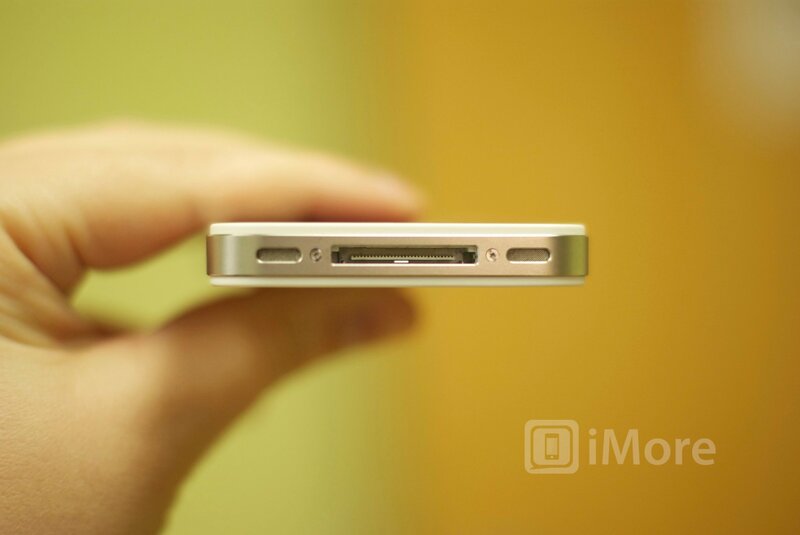 I would personally consider buying an iPhone 4 if only the headphone jack or dock connector sensor was triggered. If the rest of the device is in perfect condition and the inside has no sensors triggered, I'd say you're okay. A lot of things including living in a humid climate can cause external sensors to be triggered. Apple will actually honor a warranty swap if only one external sensor is triggered due to these factors. Just make sure if one external sensor is triggered or missing that you check the inside ones. As long as those are okay, the decision really lies with how comfortable you feel and how honest you think the seller is. If they seem irritated or worried about you checking out the device, find another one. Interested in other DIY, repair, and modding info? Check out the resources below or if you ever decide certain repairs are beyond your skill level, contact PXLFIX regarding mail-in repairs and pricing.